Open any horse supply catalog and you will find upwards of 40 pages of different horse supplements. The reason there are so many supplements has to do with the poor quality of many of our horse foods and hay. This is not the fault of the horse food companies but a reflection of the general misunderstanding of nutrition. You see, when it comes to nutrition, more is not better. In the last few decades the production of crops has shifted away from quality towards quantity. Animals are pushed to produce more meat, milk or eggs and our land is farmed to harvest maximum crops. Instead of sustainable organic farming methods, much of this extra production is achieved through applying massive amounts of chemicals to the land. All of this has resulted in large quantities of inferior horse food and hay. So, unless your horse has access to native grass pasture, you do need to supplement his regular horse feed and hay in order for him to be healthy. This is because even the most expensive horse food on the market is made with inferior quality ingredients. You can start to narrow down the best horse supplements by first breaking them down into categories. I look at horse supplements as whole foods, herbs, nutraceuticals or synthetic vitamin/mineral supplements. My first choice for horse supplements are nutrient dense whole foods. Whole foods are nutrient dense products that can be added to our nutrient depleted horse feeds to make them more complete. Examples of nutrient dense whole foods that can be easily added to horse feed include macro algae such as kelp, micro algae such as AFA, chlorella or spirulina, sprouted grains and chia seeds. Alfalfa can be considered a nutrient dense whole food. The roots of properly grown alfalfa go deep into the soil where minerals are still available. Because it can be so nutritious, alfalfa should not be fed in large amounts unless a horse is in very hard work. I also include pre and probiotics, along with digestive enzymes in the whole food category. While not actually foods, they do so much to support the body’s ability to properly digest and utilize food. Nutritional herbs are my second choice in horse supplements. When the horse is temporarily out of balance, herbs can give him what he needs to rebalance in a gentle, supportive way. Aloe vera is an example of a nutritional herb. So are slippery elm, dandelion and milk thistle. Some spices, such as turmeric, fall into the category of nutritional herbs. The nutritional herbs contain vitamins, minerals and special compounds that help bring body functions back to normal but don’t force the body to do anything. There are medicinal herbs that drive body reactions. Valerian is one example of a medicinal herb and that is why it is often banned during competition. When you include nutrient dense whole food horse supplements in the diet you will see far fewer problems develop over the horse’s life. This is because the properly nourished body knows how to be healthy. Herbs are natural substances that help balance the body. Herbs are not designed to be fed long term but generally do not cause any harm if not needed by the body. Nutrient dense whole foods and herbs work best when started before serious problems develop. For instance, starting whole food and herbal supplements after arthritis is diagnosed may prevent the condition from worsening but will not reverse serious joint damage. Nutraceuticals include most of your joint supplements, hoof supplements immune support and calming agents. These products are individual components or extracts of natural substances. Examples are glucosamine, MSM, Q10, DMG or thiamine. These products will have a stronger medicinal effect because they are concentrated. For example, MSM contains a high concentration of sulfur which acts as an antioxidant. Small amounts of Q10 are found in many foods but pure Q10 is a powerful antioxidant. Nutraceuticals are best used in a targeted way to treat a specific condition. Shotgun combinations containing multiple ingredients are potentially harmful. Besides the unknown interactions of multiple ingredients you lose the concentration of any one ingredient. For instance, up to 600mg of Q10 may be needed to treat a bout of laminitis. Two tablespoons a day of pure MSM may be needed to regrow a damaged hoof. Combination nutraceuticals with more than 5 ingredients rarely contain enough of any one ingredient to be effective. 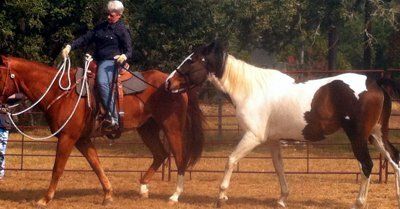 Formulated vitamin/mineral horse supplements are of limited value. Synthetic vitamins are not the same as vitamins from whole foods or herbs. This was proven when synthetic vitamin C failed to reverse the effects of scurvy. Scurvy is a condition known to be caused by a deficiency of Vit C but only whole food sourced vitamin C will cure it. Inorganic minerals are poorly absorbed and utilized by the horse. There is a place for mineral supplements in parts of the country that are deficient in certain minerals such as selenium. If you don’t know if there is a deficiency but you are going to give a non food mineral supplement, offer this free choice to the horse rather than forcing him to eat it in his feed. Most horse foods already contain synthetic vitamins and inorganic minerals so I don’t want to add to this. When you need to choose the right horse supplements focus first on nutrient dense whole foods and nutritional herbs. If your horse has a specific condition, choose the nutraceutical product best suited for his condition and avoid shotgun combinations. Your horse will get his vitamins best from whole food sources and if you feel you need to offer extra minerals let him have those free choice. These steps will help you narrow down how to choose the right horse supplement and if you want to get even more individual with your approach, consider learning your horse’s Five Element temperament type. Once you know your horse’s type you can choose the best feeding and supplement program based on this information. You can find out more about horse temperament typing at www.horseharmony.com.